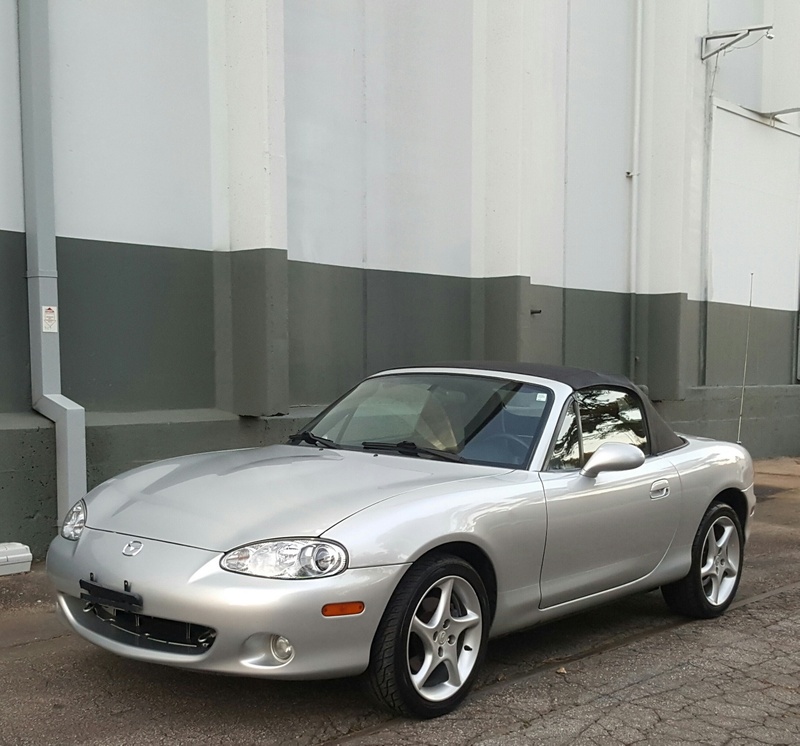 Exceptionally clean, very healthy running Sunlight Silver 2003 Mazda Miata LS with 154K on the 1.8 liter inline four cylinder mated to a five speed manual transmission, rear wheel drive. 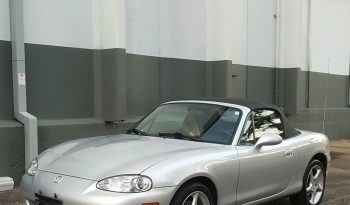 This is a single owner vehicle optioned with: limited slip differential, xenon headlamps, cd player, power windows, power mirrors, power locks, etc. Clean title, clean 1 owner Carfax with zero accidents and a fresh NC state inspection. This vehicle has been kept in very good shape by its only previous owner. Recent routine maintenance includes tire rotation/balance and a fresh oil change. Feel free to contact us with any further questions or concerns. Thanks for your time!